This discovery consists of three stages. The whole process takes up to 2 weeks. As a result, a client will get identified business goals, product development strategies and product estimation with time and cost. Before we start writing programming code, we use strategic planning to find an answer to the question, “How will a client measure the success of the product that we are going to develop?” The answer has to contain a list of measurable business goals. The quality of this answer will determine the way goals are achieved and the direction of the product team.  Increase the client’s income to $1M per month in 6 months after product release. Increase Customer Satisfaction Index by 2 times in 1 year. Client will take 15% of Affiliates Network market in 4 months after the new product is launched. Lack of business goals or wrong assumptions lead to budget overrun, defocusing the product team and causing problems in the user interface. Mistakes at this stage could be the reason for product failure. When business objectives are identified, we work on ways that bring business results. A strategy shows who will be involved in goal achievement and how they can help or hinder the project. After all strategies are determined, clients have to prioritize strategies and we help to select the fastest and cheapest strategy among the options. 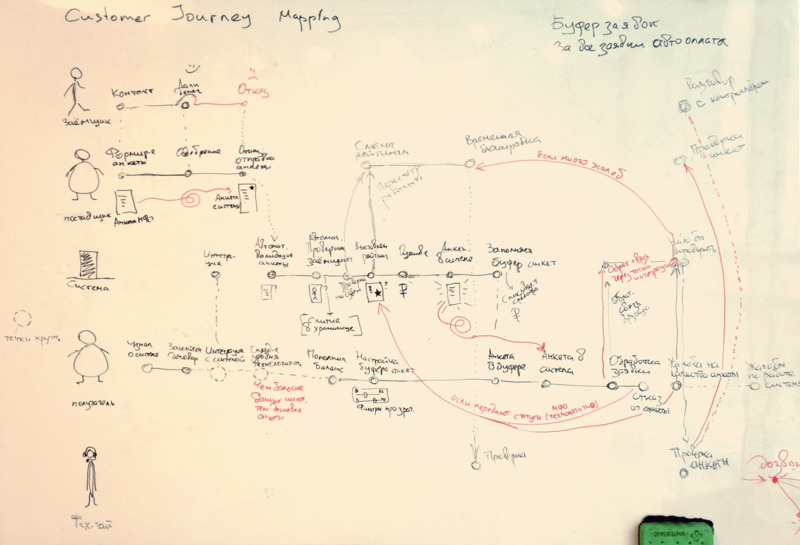 Impact mapping is a strategic planning technique. It describes business goals, assumptions and possible impacts. It prevents organisations from getting lost while building products and delivering projects which helps make better roadmap decisions. Read an article how to use Impact Mapping in practice. Understand why a new IT-product is important. Accept the client’s objectives and be ready to work for them. Agreed on strategies and priorities. Understand the criteria of IT-product success. 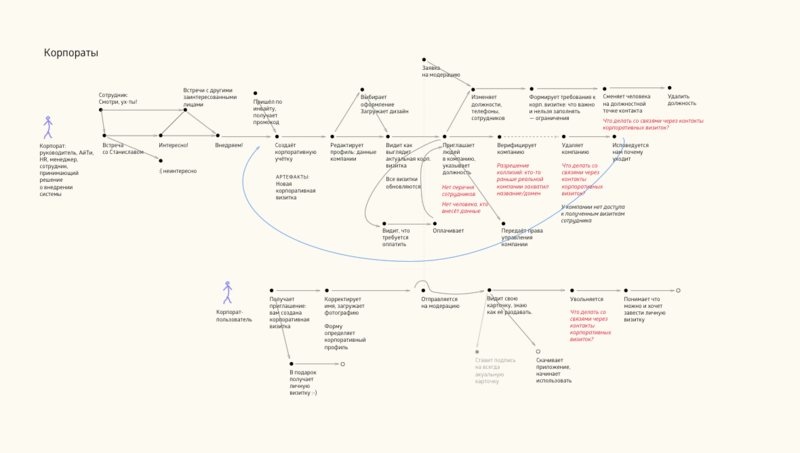 A mind map with goals and impacts than lead to business results. To keep the product consistent and prevent any obstacles for customers while they use an IT-product, we have to look at the product from a bird's-eye view. To fulfil it we discover the user’s entry points, exit points and transactions between product screens. We describe all of these by Customer Journey Mapping. Actors and points of their interactions A user under 16 years old with a laptop, a marketing department in a big corporation, a student, a director of a sales department. A map of a user’s entry points, exit points and transactions between states. An actor’s life line and interactions. So that I can keep my money safe. 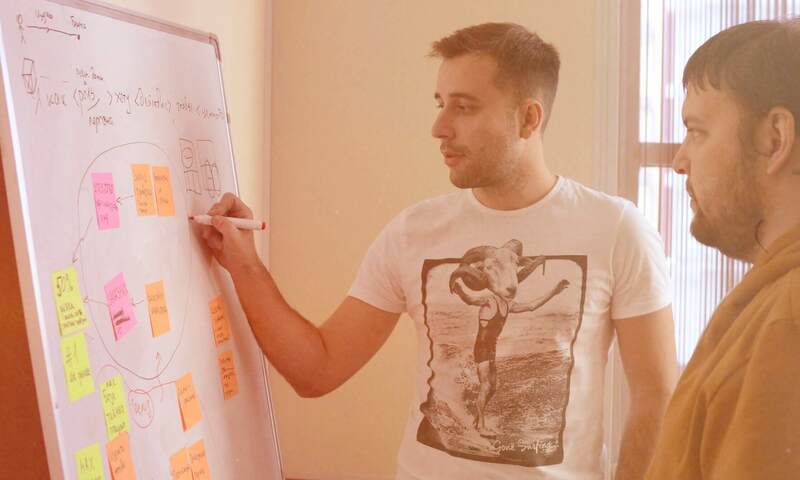 We choose a User Story format because it explains features from user experience views and clearly shows business value. That is why a developer can suggest appropriate solutions but not just do what the client said to do. 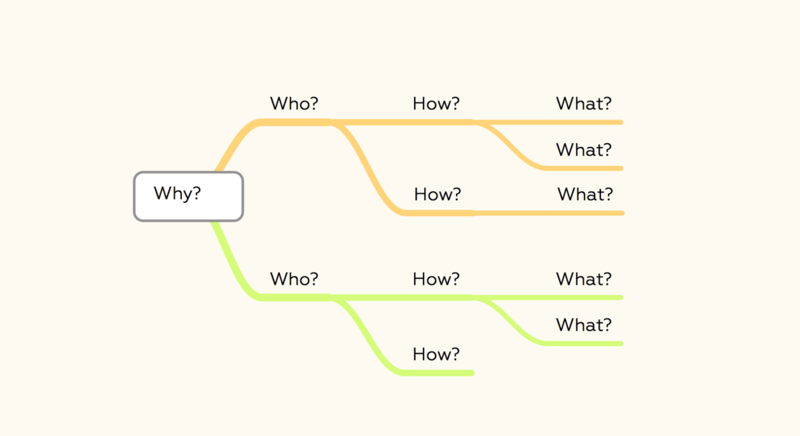 A User Story will be accepted only if we can link it to a branch of Impact Mapping. Otherwise, a User Story is a “pet feature” without business value and we ignore it. In this case, Impact Mapping acts as a filter for incoming tasks. 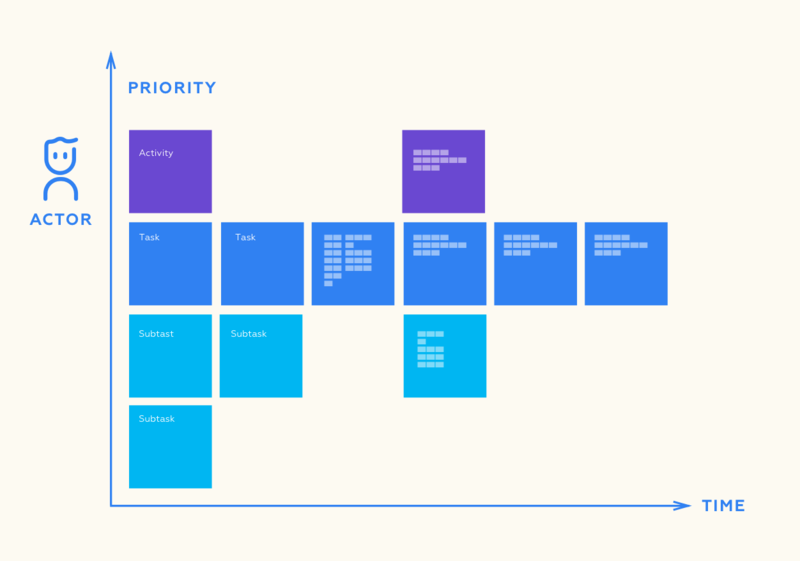 A map helps a product team to select and estimate a list of tasks for the next release. A list of tasks are picked up for the next release. The list of these documents construct a thorough view for the future client’s IT-product. 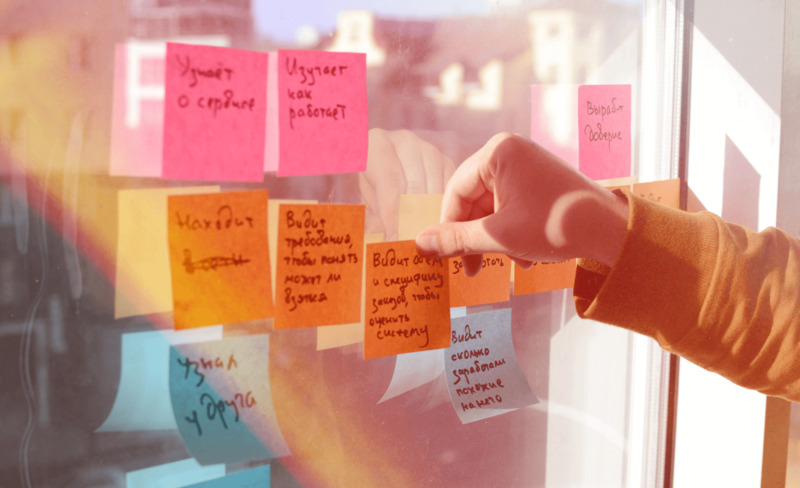 Based on these documents, a product team creates a project plan with scope, time and cost. The difference between classical technical specifications and Byndyusoft’s approach is in active understanding of the client’s objectives and working on achieving goals.